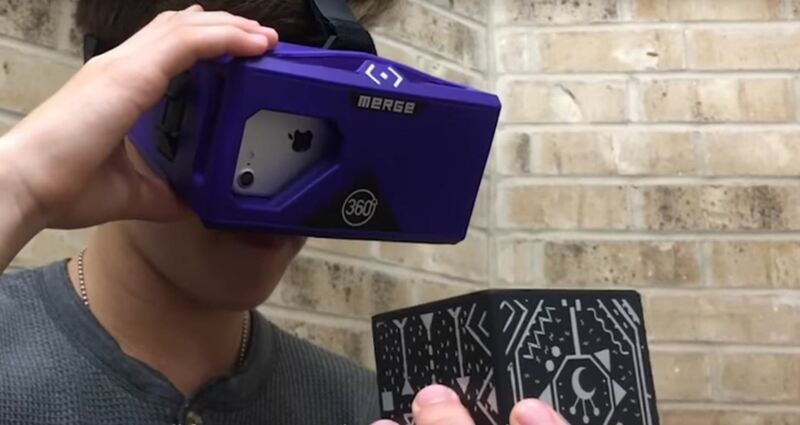 Merge VR, a company mostly known for its virtual reality experiences, is moving into and creating an augmented reality experience that combines an iPhone or Android smartphone, a set of goggles to put your phone in, and a box about the size of a Rubik's Cube which looks more akin to the Lament Configuration seen in the Hellraiser film series. When used in concert with the smartphone and goggles, the toy cube, called Holo Cube, becomes one of many AR experiences. Science, technology, engineering, art, and mathematics—also known as STEAM—has become a crucial idea in recent years. Finding ways to gear children's interest toward these fields at a young age promises to continue our technological and innovative progress in the future. 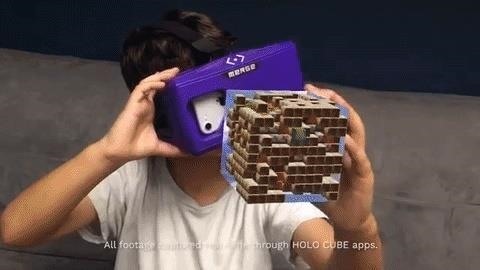 "Toys are the tools we use for growing up, and our Holo Cube offers brand new ways to learn, play, and connect with others," said Merge VR founder Franklin Lyons in a recent public statement. "Rather than using the typical interfaces of 2D screens, we're developing physical products that merge the real world with the digital; creating new ways for imagination and creativity to flourish." This product is designed to use the camera on the phone to transform the toy box into one of twelve different AR experiences. The setup uses the designs on the faces of the Holo Cube to position the 3D experience and buttons on top using the smartphone in the Merge VR Goggles, which also allows the user to interact with it. Some of the Holo Cube transformations include a Minecraft-style puzzle, virtual pets, and human anatomy. The Merge VR Goggles are currently available to order for $59, and can be purchased from their website or on Amazon, Best Buy, and other retailers. Based on the drop tests that I have seen, this unit is great for children, since it's made of foam. According to a recent report by CNET, the Holo Cube itself will be available in the summer of 2017 for about $20. The price listed on Best Buy's product page confirms that cost. How important is STEAM to you? What kind of experiences would interest your children? Let us know in the comments.